I can't say enough amazing things about Kayla! My husband and I were planning our wedding in Amarillo from DFW and found Kayla from on online search. Not only was her portfolio super impressive, but she was INCREDIBLE with communication (something, I think, everyone planning a wedding appreciates immensely). She really took her time to get to know us from meeting virtually a few times, then our engagement shoot that was included in our package. From that shoot, she really took our feedback (they were incredible photos btw) and really came through with an amazing experience on our wedding day and the photos are are testament to her talent. The day of the wedding, she was prompt and worked seamlessly with the day. Us being a bit behind schedule, the wind, my crazy big family - nothing phased her! BTW, her second shooter was incredible. Kayla really picked someone to fully compliment her. 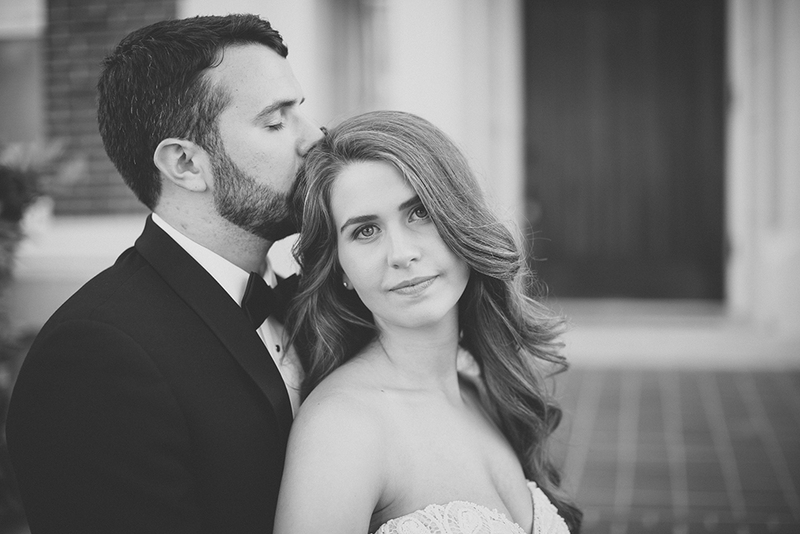 If you're looking for someone who will make wedding planning just a bit less stressful and capture the life and beauty of your wedding, you MUST go with Kayla! Kayla brought out the best in us during our shoots! The way she works with light and people's expressions are beautiful! One of my favorite things is that she gets photos back to you very fast. Loved having her take our wedding photos ! I can't put into words how blessed I am to have found Kayla. From my beautiful engagement session to my amazingly perfect wedding day she was there to capture every moment. I never thought it could be so easy to take a great picture. She is calm, controlled, and exudes professionalism. We loved working with her. Thank you for being apart of a very special time in our lives and showing us your beautiful talent. I look forward to working with you again. Kayla was the perfect fit for our wedding day! I found her on Facebook and when we finally met in person the day of the wedding she got right into business but made all of it feel so natural and comfortable. But she also adjusted things when needed. I LOVE the way she uses the light but more importantly I'm grateful for the kindness and patience and gentle spirit she has and that she and Mason were able to capture our day in the most perfect way. We got our pictures back quickly (which was a great surprise) and they are perfect!! Kayla and her husband did a spectacular job! They did our engagement pictures, my wife's bridal pictures and the wedding and reception! Each picture was a joy to look at and you could tell how much love and attention they put into editing the photos. I would recommend them to anyone! I can't say thank you enough to Kayla and Mason! They captured our wedding SO beautifully. Lighting is everything to me and she was spot on capturing natural light perfectly! Not only were they a pleasure to be around all day, but they must have worked round the clock to get our pictures done! I never expected to get them back so quickly! I'm so thankful. Having beautiful pictures to keep forever was on the top of my list and my goodness Kayla Smith came through. I LOVE them. So. Much! After looking through dozens of photographers to hire for our wedding, I decided on Kayla and haven’t regretted it for a second! Her style is so natural, clean and authentic. She captured every detail of our day beautifully! She’s fun and easy to work with, gets your pictures back to you super fast, and she produces the kind of stunning and quality photos you know will still make you smile when you look back at them 20 years later. Choosing Kayla and Mason as our wedding photographers was one of the easiest decisions we made when it came to wedding planning! Kayla is personable and very easy to communicate with. She and I visited our venues prior to the wedding date just to ensure the best lighting and shots. Kayla is very organized and detail-oriented, which is so helpful when it comes to the craziness that wedding days can be. We had our engagement and wedding pictures within two weeks of them being taken- which is a huge plus! We are so happy with our gorgeous pictures and our decision to work with Kayla and Mason. I cannot say enough wonderful things about Kayla and her work! It probably took me about 7 months to finally decide on a photographer for my wedding. I'm so glad I found Kayla, her pictures are amazing! She has a special touch for photography. From our engagement pictures to our wedding, she did incredible. I also had the pictures in no time. She is very patience and kind. I know our families were probably in the way of things but she was always so kind. She never let anything get in the way of her taking pictures. I will defiantly keep her in mind for future pictures. Kayla is such a joy to work with! She did both our engagement and wedding photos, and I'm beyond happy with the results. Kayla is very sweet, and she knows exactly how to work with different poses and lighting to create the perfect image. If you are in need of a photographer, I would book Kayla ASAP! I think that Kayla's work really speaks for itself. She really knows her craft. And not only does she take gergeous pictures, Kayla is also able to naturally capture people and their personalities. The story and emotion of my wedding day along with everyone who was a part of that day was stunningly captured. Also, the addition of Mason as her second shooter helped the day run more smoothly and we were able to have even more fantastic photos. They truly make a great team! They both had fantastic ideas and really worked with us to get all of the shots we wanted. If you are looking for the best, look no further than Kayla Smith Photography. Kayla and Mason did an incredible job capturing our wedding day. They both have such an artistic eye for photography, and work together to make your vision become a reality. They were on time, personable, and easy to work with. Book them to photograph your next life event now before they become famous…seriously. I promise you won’t be disappointed!